The Purcell School is situated on the outskirts of London within a 17-acre site of Hertfordshire greenery. This provides a close connection to the capital as well as all of the benefits of a semi-rural environment. The campus boasts a state-of-the-art Music Centre, industry standard recording studio, performance stages, full boarding facilities, catering team and ample parking. As a specialist music school and charitable institution, the School is only available to music related courses and organisations for venue hire and lettings. Unfortunately, this prohibits the hire of venue or facilities for corporate or wedding purposes. The School can accommodate both non-residential and residential lettings, and offers a variety of lettings packages based upon the hire of either the Constance Pilkington Hall (a large performance space) or the Recital Room (a more intimate performance space). These packages comprise use of the Schools amenities including, but not limited to, classrooms, practice rooms, percussion suite and sports facilities. Residential facilities include single, double and triple bedrooms, communal kitchenettes, communal living spaces and social spaces. For residential lettings groups must be a minimum size of 30 and maximum of 120 people. Please note that residential accommodation can only be provided outside of the academic term. For additional information, contact lettings@purcell-school.org. If you would like to make an enquiry about lettings at The Purcell School, please complete the form below. We are proud to let our facilities regularly to the following organisations and courses. The Piano Teachers’ Course UK has established itself as the UK’s leading professional development course, solely for piano teachers. The only course of its kind in the UK, it equips piano teachers with the full range of professional skills they need for a successful career, together with the opportunity to connect with an inspiring and informative network of pianists. The Course provides excellent preparation for all Piano Teaching Diplomas including those from the Associated Board, Trinity Guildhall and London College. It is a part-time course, designed to suit those with other commitments, lasting one academic year from October through to June, comprising two long residential weekends, four further Sundays and independent study spread throughout the year. 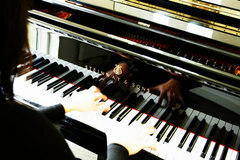 For further information, please visit www.pianoteacherscourse.org. 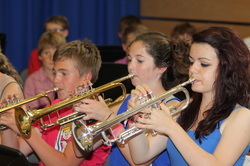 The Brass Academy runs music courses of exceptional quality for brass players aged 8-18. The courses are suitable for those of Grade 1 to Grade 8 standard and beyond. Their Summer Course includes The Workshop, an advanced an intensive course-within-a-course designed to stretch and challenge those of Grade 8+ standard; and our Easter Course includes the Percussion Studio, a specialist percussion course for those of Grade 2 to Grade 8 and beyond, run by Kevin Hathway, Head of Brass, Percussion, Harp and Voice at The Purcell School. The courses can be attended on a daily or residential basis, and each afternoon there is a break from the music for a two hour sport and activity session. There are daily small ensembles (graded by ability), masterclasses for individual instruments, a course competition; tutor demonstrations, and for the last half hour of each day, a large ensemble session. Because the courses are solely for brass players, they can focus on the particular requirements of brass players – and the participants get to play a great deal more than they might on an orchestral course – no endless counting of rests here! For those staying on a residential basis, there is a fun and varied programme of evening activities. The tutors include Mark David, Artistic Director and Head of Brass at the Royal Academy of Music; Philippe Schartz, international soloist and Principal Trumpet with the BBC National Orchestra of Wales; Christian Jones, Principal Bass Trombone with Opera North; Simon Morgan, Principal Horn at the Lion King in London; and Pete Smith, Principal Tuba with the Philharmonia Orchestra. For further information, please visit www.brass-academy.co.uk. Teaching provision is generous and fair and, unusually, there is time to focus on both solo repertoire and daily chamber groups. A minimum of three individual lessons on each student’s first study instrument is guaranteed, along with pianist rehearsals and concert opportunities. 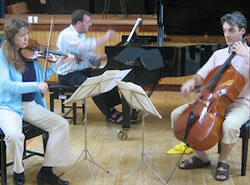 Everyone plays in at least one chamber group, which is coached not less than every second day. Repertoire plans can be made in advance, especially for pianists. Groups and partnerships can evolve flexibly during the week – the coaching timetable is arranged in two day cycles by mutual consent. For more information, please visit www.cadenzasummerschool.org.uk. It provides the opportunity to work with composers and musicians from a wide variety of musical traditions, from classical and jazz to world and new media. From life-changing musical experiences to life-long friendships, there’s much to be gained from this course. Sound and Image are always looking for young composers with talent, a commitment to creating their own music and a desire to learn more. Visit www.soundandmusic.org/projects/summer-school for more information.